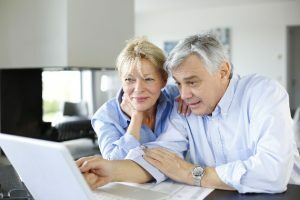 Paying for Health Care in Retirement: How Much $ Will You Need? The findings of recent research by the Employee Benefit Research Institute (EBRI) indicate that, while the projected cost of paying for health care in retirement is still generally lower than five years ago, the anticipated expenses are back on the rise. After several years of decline, the range of retiree health savings targets rose between zero and six percent from 2015 to 2016. While there are numerous factors contributing to this increase, one of the biggest is the yearly adjustment for out-of-pocket spending for prescription drugs. As the report’s author notes, Medicare was never intended to cover all of an individual’s health care expenses in retirement. In 2013, Medicare paid 62 percent of health care services for beneficiaries 65 and older. Likewise, 13 percent was paid out-of-pocket while another 13 percent was paid by private insurance. So how much does a person need to cover those out-of-pocket costs they’ll incur in retirement? Of course the amount an individual would need to save to cover their health expenses in retirement varies based on how healthy they are and how certain they want to be that they’ll have enough to cover their spending. But the study found that, on average, a 65-year old man or woman would need around $72,000 and $93,000, respectively, if they’re aiming for a 50 percent chance of having enough to cover their expenses. To achieve a 90 percent likelihood, those numbers shoot up to $127,000 and $143,000. The EBRI’s projections are a good estimate. However, there are many factors that might drive those costs higher or lower for a given individual. For example, the EBRI analysis doesn’t take into consideration any expenses for long-term care, which can be substantial. Also, those who retire before they’re eligible for Medicare could end up needing more in savings. Not to mention, those with higher income can expect to pay more for their Medicare coverage once they do enroll. On the flip side, many individuals are choosing to continue working past the 65-year retirement age. Those who choose to work longer may be able to postpone their Medicare enrollment if they’re still receiving health benefits through their employer. Health care expenses represent a significant piece of the retirement puzzle, one that’s often overlooked. Is your retirement savings on track to cover your health care costs in retirement? Give us a call to find out.